We have worked on a lot of wine cellars construction projects in Los Angeles and Orange County homes. Residential wine cellar cooling systems are important. Homeowners often invest a lot of money in their wine collections. Yet, too many wine lovers are not storing their wine with refrigeration systems, built by a wine cellar cooling specialist. See some of the beautiful projects we’ve worked on here in the L.A. area that shows the excellent aesthetics of wine cellars built in this part of the country, and the various methods we employ to cool their spaces. 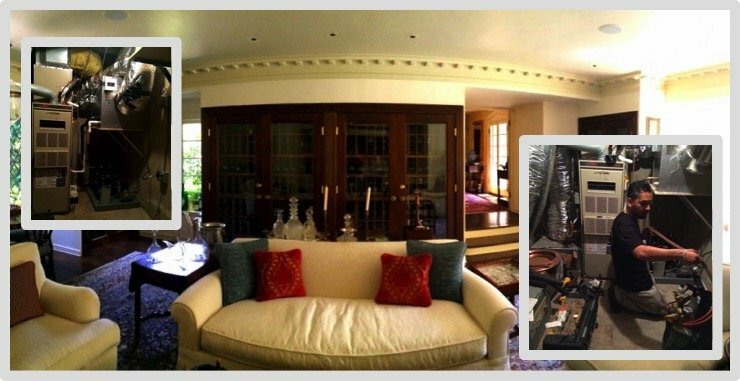 This Beverly Hills, Los Angeles, California home had stunning custom wine cabinets overlooking a living area. The cooling system died, requiring an installation of a new refrigeration unit. Working in the posh town of Bel Air, M&M Cellar Systems installed a split system refrigeration unit to this waterfall wine racked wine cellar. 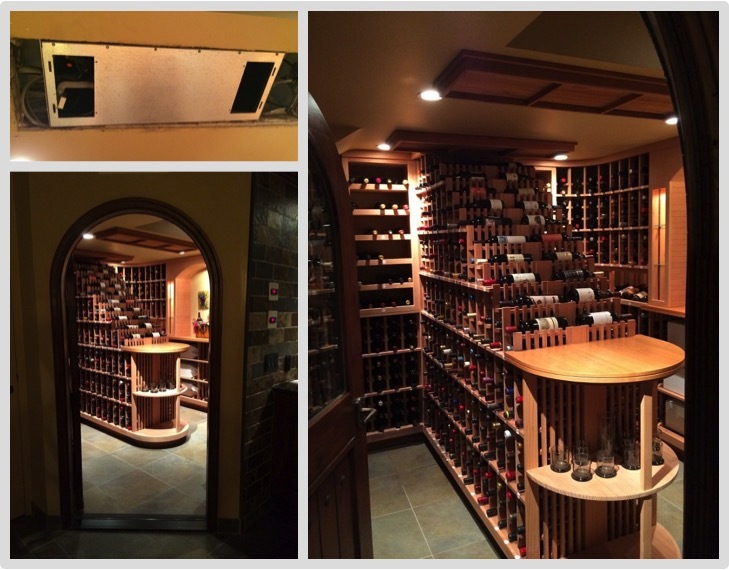 We installed the cooling unit on this amazing wine cellar in an Orange County home.